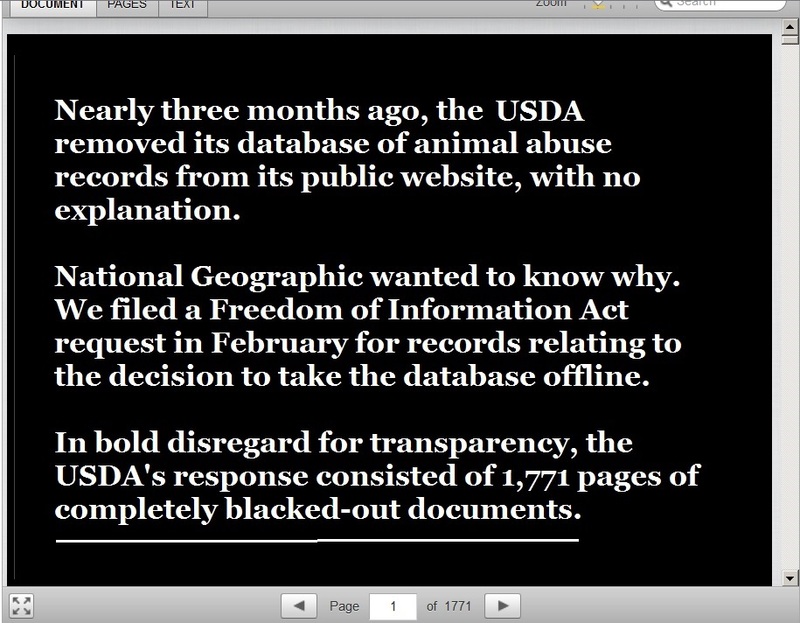 Another Bizarre Installment in the USDA Saga: Blacked Out Docs Regarding the Inexplicable Removal of the Animal Abuse Database – FIREPAW, Inc. In January, the USDA deleted a public database that included inspection records from zoos, circuses, and research labs. In the agency’s response to our FOIA request, it still refuses to say why. They exposed abuses at roadside zoos, uncovered controversial government-funded animal experiments, and revealed the mistreatment of circus elephants. They confirmed dog breeders weren’t running puppy mills and that horse trainers weren’t exploiting their racers and jumpers. The records in U.S. Department of Agriculture’s online animal welfare database allowed journalists, investigators, and the public to look up inspection reports and violations of animal welfare laws. But nearly three months ago, the the USDA removed its database of animal abuse records from its public website, with no explanation. National Geographic wanted to know why. We filed a Freedom of Information Act request in February for records relating to the decision to take the database offline. In bold disregard for transparency, the department’s response Friday consisted of 1,771 pages of completely blacked-out documents.